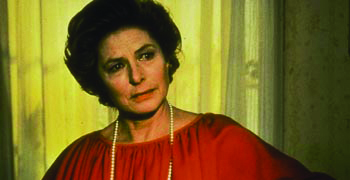 When the legendary Ingrid Bergman first swoops into Ingmar Bergman's Autumn Sonata (1978), she brings with her a whirlwind of energy, that kind of unique spark that accompanied the great actresses of Old Hollywood. Ingmar, however, downplays Ingrid's stature. He knew, instinctively, how the audience would be drawn to her, so when she arrives in the film, the great Swedish director holds back, not allowing her the grand entrance she so deserves. The camera seems hesitant to show her face at first, but not to build up the anticipation of her reveal, but simply to treat her arrival as something wholly mundane. Her presence electrifies the film, but Bergman treats her like just another character making just another entrance. Ingrid Bergman's presence in Autumn Sonata is not a mistake. For his quietly engrossing tale of an estranged mother and daughter coming to grips with old wounds and grievances, Ingmar turned to an actress who knew something about old familial pain. 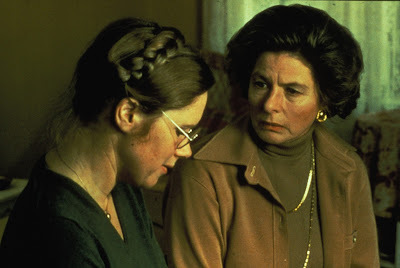 Liv Ullman and Ingrid Bergman in AUTUMN SONATA. After leaving her husband for director Roberto Rossellini, Bergman didn't see her own daughter for several years, and caused a Hollywood scandal from which she never quite recovered. Autumn Sonata feels like something of a mea culpa, and while Ingmar famously complained that she had rehearsed every facial expression in the mirror and seemed "stuck in the 1940s," her raw, intimate performance here is a career crowning achievement, perhaps one of the greatest screen performances of all time. There is something about her that seems haunted by a past at the culmination of an illustrious career. As her character, Charlotte, a renowned concert pianist, sits down at a piano with her daughter, Eva (Liv Ullman, Ingmar's own wife), one can almost hear the strains of "As Time Goes By" wafting through Rick's Cafe Americain as the camera lingers on Bergman's pained eyes. 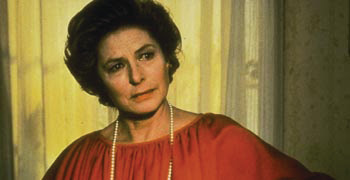 Those eyes saw a lot in the years between Casablanca and Autumn Sonata, which would end up being Bergman's final big screen performance before her death in 1982. A lifetime of pent up emotion seems to be flowing out of her, and the result is absolutely devastating. Here she is, one of cinema's great icons, playing a woman for whom everything is a performance, who neglected her children, even skipping the funeral of her four year old grandson because she was too busy recording a new album. She says these things as if they're perfectly justifiable, never seeing the fault in her own actions. She takes the place among cinema's great monster mothers, but Ingmar never treats her as unworthy of sympathy. We feel for both these women. Ingrid Bergman in AUTUMN SONATA. The extended final confrontation between mother and daughter, shot almost exclusively in intimate close-ups, lays bare a lifetime of grievances. Bergman's camera, with its warm, autumn colors courtesy of cinematographer Sven Nykvist, lingers on the women's faces to the point that the audience almost wants to turn away. We can't, however, because the performances on screen are so mesmerizing. There are times when the intensity of the close-ups recalls Carl Dreyer's The Passion of Joan of Arc, as Bergman lets the beauty and the pain in his subject's faces tell an unspoken story all their own. 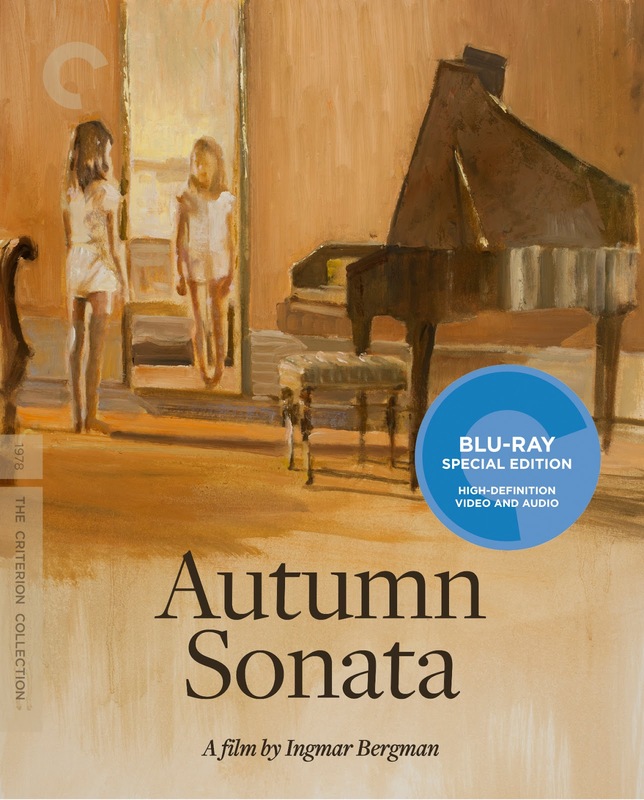 As it turned out, Autumn Sonata would also be Ingmar Bergman's final film made for the big screen. While later films like Fanny and Alexander and Saraband opened theatrically in the United States, they were made for Swedish television. Ingrid Bergman would go on to make A Woman Called Golda for TV in the final year of their life, but Autumn Sonata represented something of a swan song for them both, and a what a glorious swan song it is. It's a painful film, to be a sure, but a rewarding one. The new Blu-ray upgrade from The Criterion Collection is crisp and warm, while still retaining a decidedly film-like look. It's a gorgeous transfer, and also includes a three and a half hour "making of" documentary that's nearly as long as the TV cut of Fanny and Alexander. There is also an introduction by Bergman himself that details some of the tensions that arose on set with his star. Those tensions clearly paid off, because both Bergmans turned in some of the best work of their careers here. There's something breathtaking about watching these two legends unite for the first and only time, but even with such depressing subject matter, the energy simply crackles on screen. 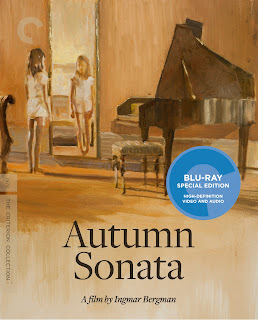 For fans of either Bergman, or just for students of great acting, Autumn Sonata is absolutely essential viewing. On Blu-ray and DVD 9/17 from The Criterion Collection.